There are many ways to help people as we get older. 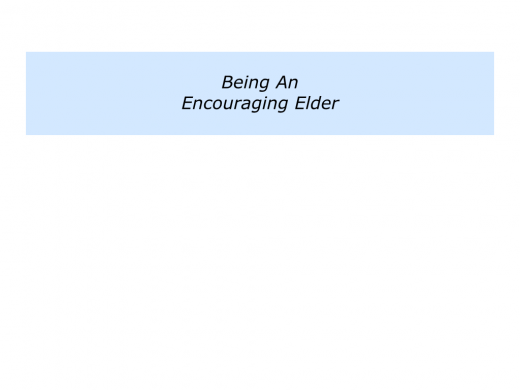 One approach is to be an encouraging elder. It is to encourage, educate and enable other people to shape their futures. People can choose their attitude as they get older. 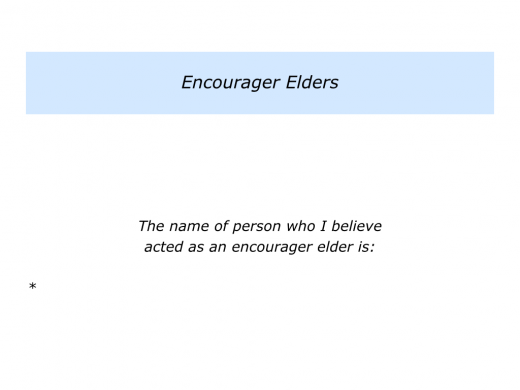 They can choose to be an encouraging elder or a grumpy elder. They can choose to pass on knowledge and plant seeds of hope. Or they can choose to spread despair. 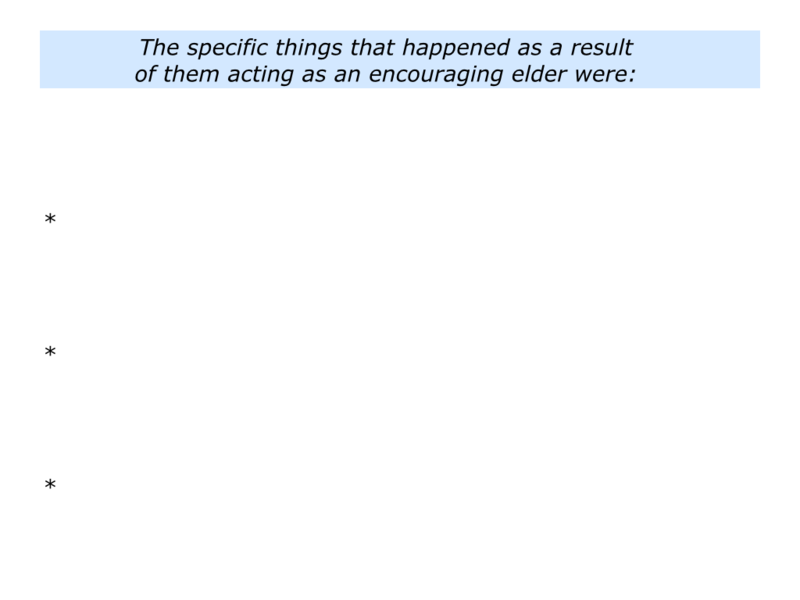 Here is an excerpt from The Quest For Life Foundation’s website that talks about the role of elders in traditional societies. You can discover more via the following link. In traditional lifestyles of our Australian Aboriginal and Torres Strait Islanders the role of The Elders was paramount. The Elders held the stories and the wisdom of the past. In telling the stories the Elders made sense of The People’s everyday lives. Knowing that the earth provides just as a mother does must be respected and cherished. It not only makes sense but it is not a mystery to be solved or ignored. Elders gave counsel to those in need; listened to the problems of the group; helped shed light on difficult situations; told and guided the young and in return they were revered, nurtured, respected and cared for until they passed on in to the spirit world. The People looked forward to passing on; they didn’t fear it. Passing on was not dying. Life after you pass on is not an issue if your life on earth has meaning. Meaning was in everything. Every part of creation had meaning and purpose. The People relied on each other for their very existence. Without co-operation life was impossible. Petrea King created The Quest for Life Foundation in 1989. Since her recovery from leukaemia in 1984, she has focused on helping people to explore health, healing and feeling at peace. You can discover more about the Foundation’s work via the following link. Looking at your own life and work, can you think of a person who has been an encouraging elder? This may have been somebody you met or somebody you have heard about. What did they do to be encouraging? How did they share their wisdom to help other people? What else did they do to try to give people hope? 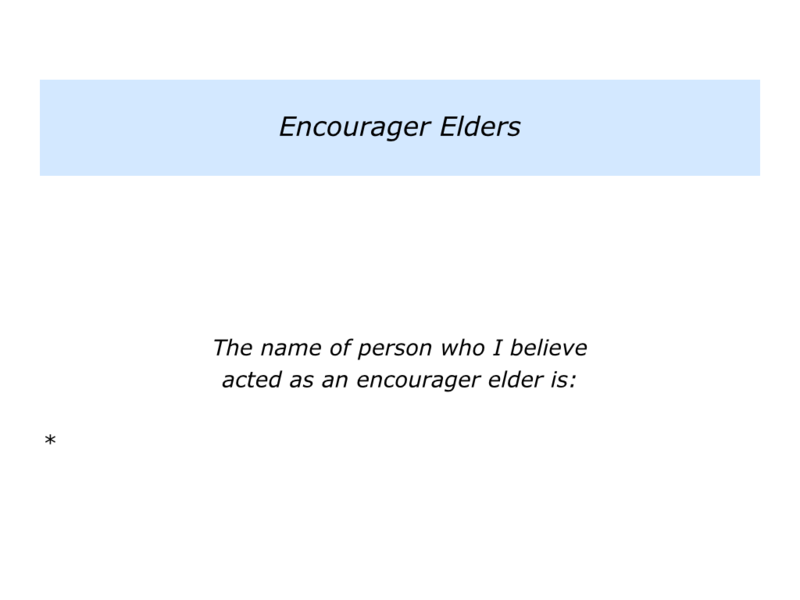 Describe a person who you believe acted as an encouraging elder. 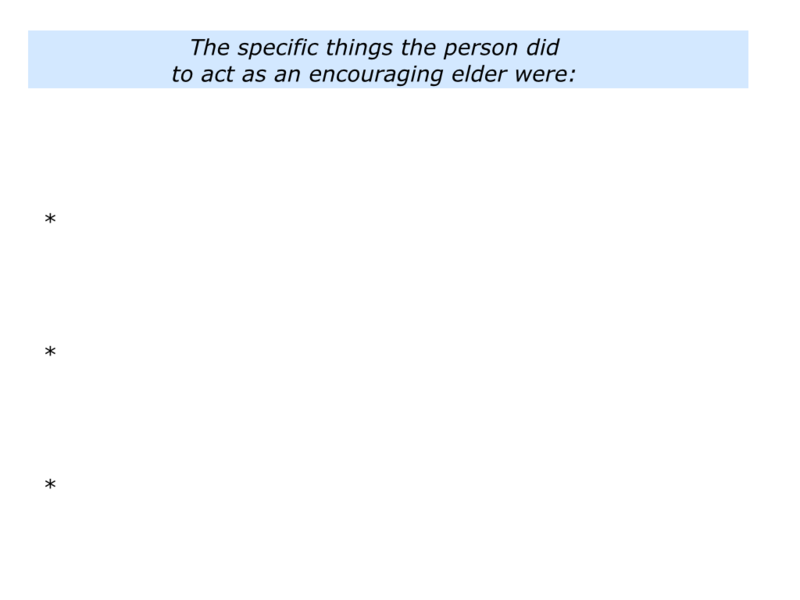 Describe the specific things they did to act as an encouraging elder. 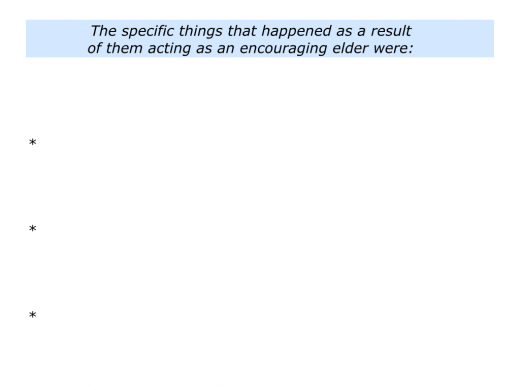 Describe the specific things that happened as a result of them acting as an encouraging elder. Different elders help people in different ways. Some simply act as good encouragers. They help people to feel safe and able to explore their dreams. If appropriate, they then share knowledge a person can use to achieve their goals. Looking at a person, they ask some of the following questions. What does the person want to do in their life? What are their goals? How can I help them to achieve their picture of success? When does the person come alive? What are the things that give them positive energy? When are they in their element – at ease and able to excel? How can I encourage them to do more of these things? What are the challenges they face? 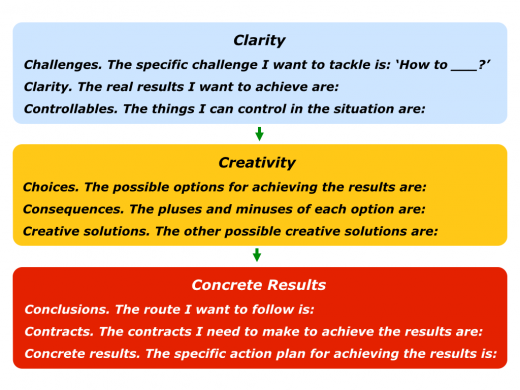 What are the real results they want to achieve? How can I pass on knowledge that helps them to achieve their goals? 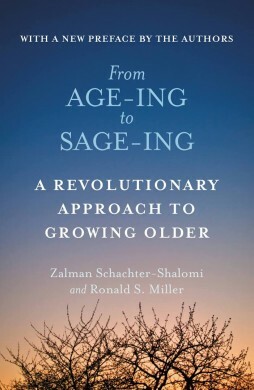 Some elders act as sages. 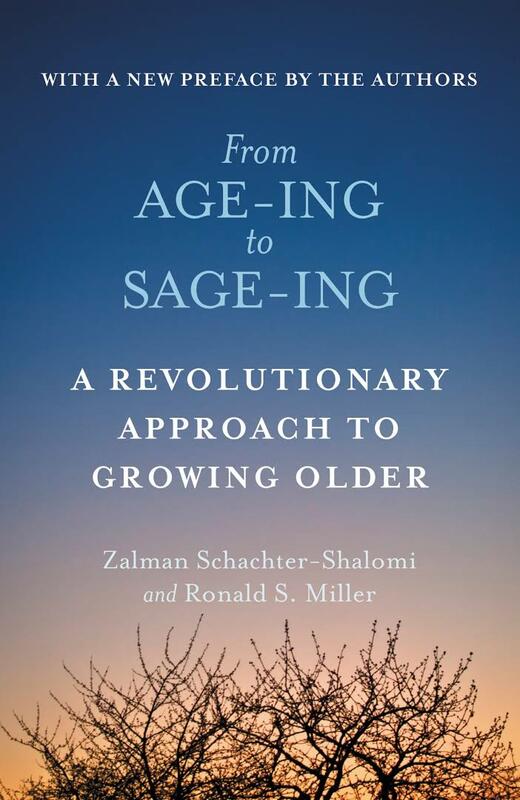 Rabbi Zalman Schachter-Shalomi and Ronald Miller described this approach in their book From Age-ing To Sage-ing. 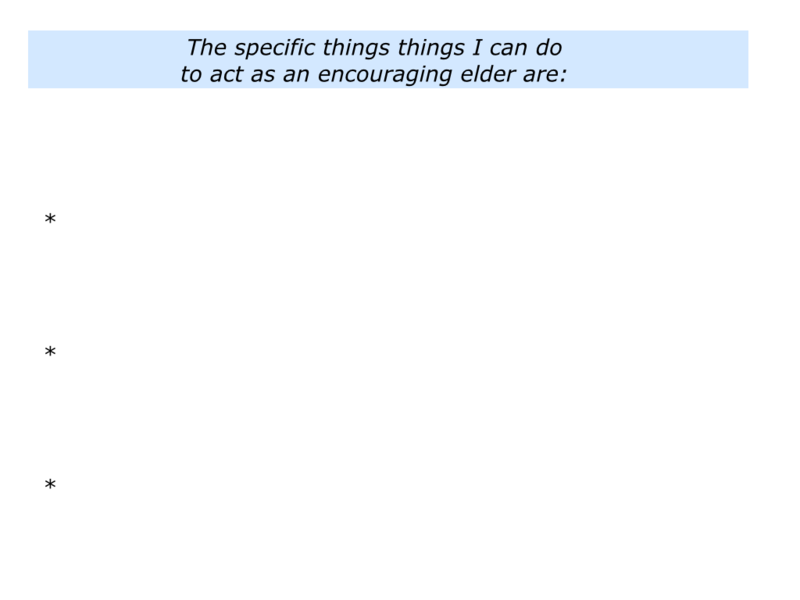 Below is an excerpt from The Sage-ing International website that describes how people can serve as elders. You can discover more via the following link. Serving as an elder to others as a guide, mentor, and agent of healing and reconciliation on behalf of the planet, the nation, and the family by being a wisdom keeper. Elders are people demonstrating wisdom in its active state. Elders are a natural resource who liberate, heal and empower others. Elders access a balance of masculine and feminine energy in the psyche. Elders elicit extraordinary deference from their community. Elders celebrate life by maintaining a sense of humour, taking care of themselves and taking pride in their good health. Elders harvest what they have sown over a long lifetime. Elders are a source of blessing. 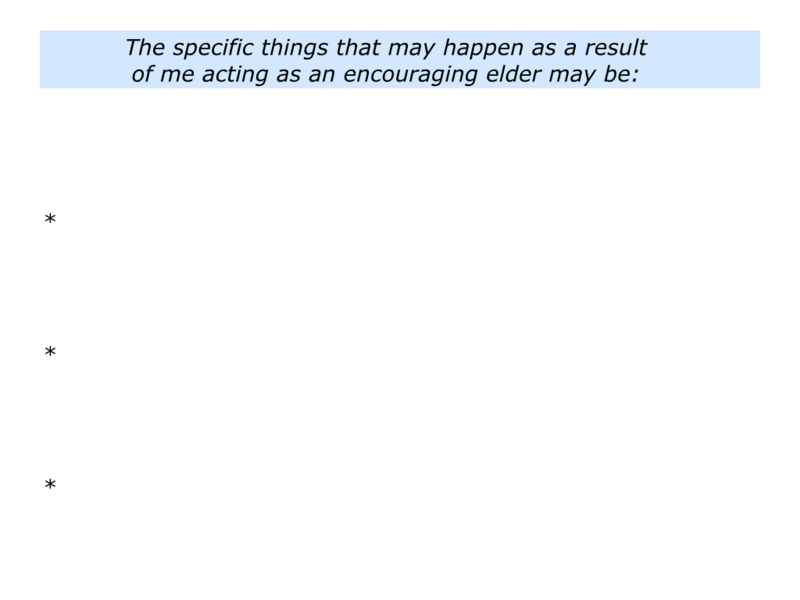 Elders initiate others and affirm them through unconditional positive regard. Elders are still learning, still growing. Elders have come to terms with their mortality. Elders share their long life experience by being accessible to the young. Elders are stewards, caretakers of both man and the Earth. Elders view all life as interconnected, as one. 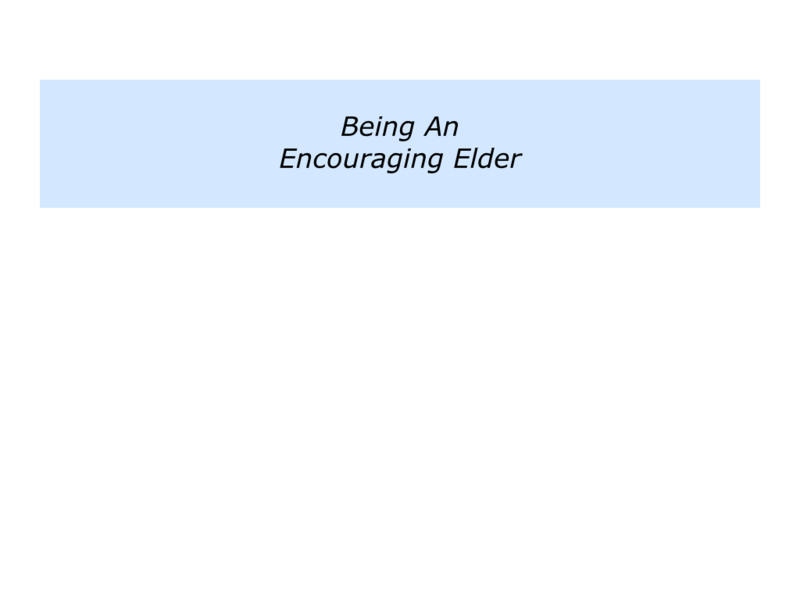 Let’s move on to another aspect of being an encouraging elder. Some elders act as educators. They provide knowledge, wisdom and practical tools that people can use to achieve positive results. They believe that education is the ultimate democratic activity. Why? Because it provides people with more choices and therefore more freedom to shape their future lives. Such educators often follow the rule that: ‘The learner learns what the learner wants to learn.’ They start by finding out what the person wants to explore. They then aim to make the learning personal, practical and profitable. Personal: It must relate to the person and their goals. 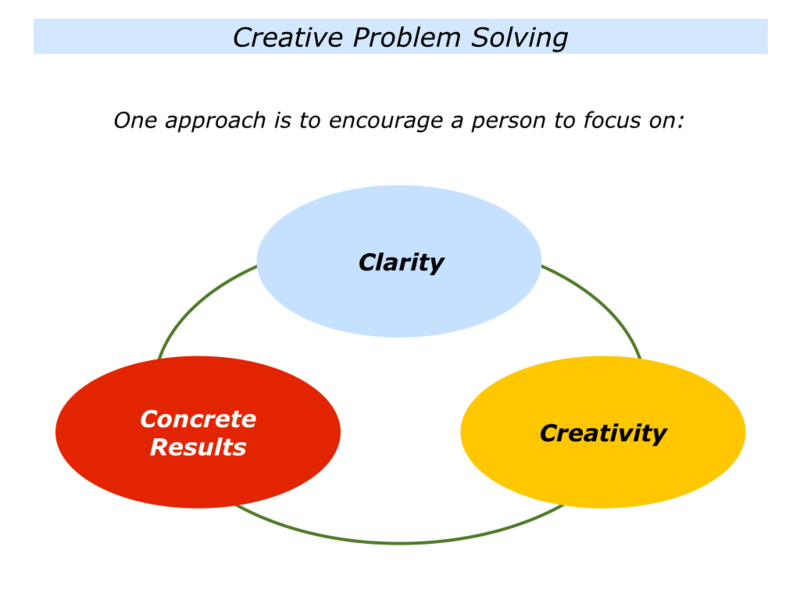 Practical: It must be practical and provide tools that help the person to reach their goals. Profitable: It must be, in the widest sense, profitable and help the person to achieve their goals. Elders sometimes act as mentors. They provide a stimulating sanctuary in which the person can explore the challenges they face. Good mentors listen and clarify the person’s aims. They then help them to clarify their options for going forwards and the consequences of each option. When appropriate, they ask if it is okay to share their ideas. They then pass on knowledge in a way the person can use to achieve their aims. Different people use different models to help a person to find solutions to challenges. Some mentors encourage the person to focus on clarity, creativity and concrete results. Here is an overview of the 3C approach. Elders share their knowledge in a way that helps people to achieve their picture of success. This sometimes leads to the next step. 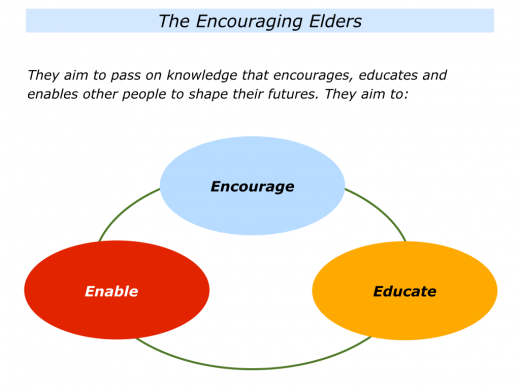 Elders often pass on practical tools that people can use to shape their future lives. Different people do this in different ways. 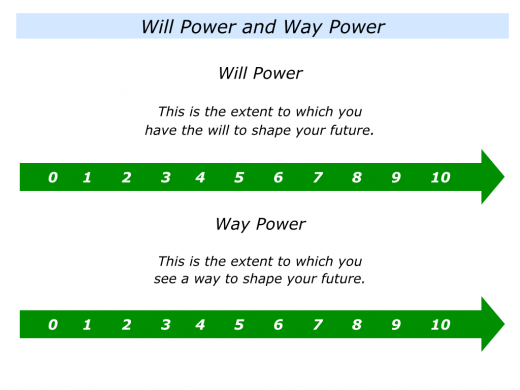 We are often told that: “Where there’s a will, there’s a way.” But this phrase can be turned around to say: “Where there’s a way, there’s a will.” If a person sees a way forward, they are more likely to develop the will to make it happen. Different people use different ways to plant seeds of hope. Looking to the future, imagine that you want to act as an encouraging elder. How can you take these steps in your own way? How can you continue to be a good encourager? How can you, in the widest sense, be a good educator and pass on your knowledge? How can you enable people to shape their futures? Describe the specific things you can do to act as an encouraging elder. 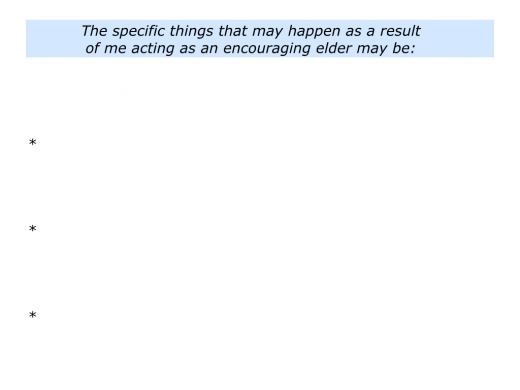 Describe the specific things that may happen as a result of acting as an encouraging elder.